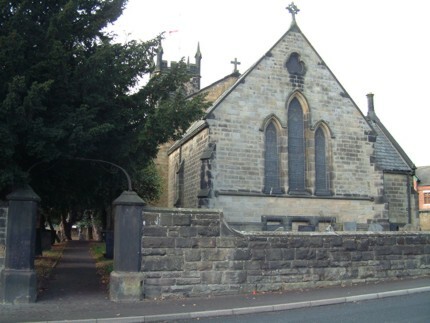 The name Crosshill generally refers to the area between Cross Lane at the bottom of Heanor Road, then up the hill past the church and a little way past Middleton Avenue. It is thought that it may have got its name from a crossing point, where Codnor Denby lane meets Heanor Road on the brow of the hill. Previously a bridle lane known as Hunters Road continued on the other side of the main road towards Codnor Castle. This is no longer in existence and this area became known as Matkins Yard in later years. The Codnor side of Crosshill was originally one of the steepest hills in the area. much dreaded by those with Horse drawn heavy loads. This all changed in the early 1880s when alterations had to be made to the road to allow the new railway to pass underneath. 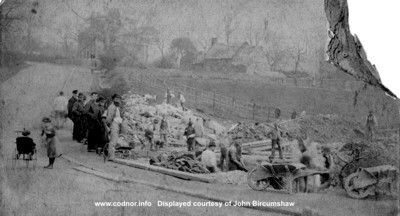 Hundreds of tons of stone were carted in to raise the road sufficiently to pass over the railway bridge. The railway opened in 1890. The two maps below show the before-and-after views of this area. Fig.1 Crosshill in 1880s then again in 1900 after the road alterations. Note how the road has been raised and given a gentler curve, also look how the alignment of Waingroves road has changed. This photograph was taken by someone standing near the brook in the hollow and looking back towards Codnor. It shows the beginning of the road alterations that were required to raise the level of the road to accommodate the arrival of the new railway. The little girl in the pram is Sarah Maria Martin, elder sister of William Edwin Martin, who was killed in WW1. Also note the small row of thatched cottages in the centre background, Joseph Millot Severn described these as follows. "Between the road here and Clarke's house were two or three small thatched cottages, nicely ensconced in gardens, and almost hidden from view behind some high hedges. Growing beside the cottage walls were roses in abundance, the perfume of which in the blossoming season pervaded the locality. The pulling down of these cottages marred yet one more fair domestic scene." 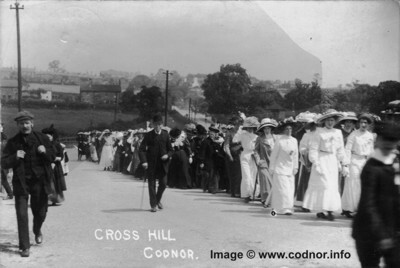 Fig.3 Ladies procession, Crosshill. Information on the back of this postcard confirms that this is the Coronation Procession of 1911. The sender also indicates that she is in the picture, but I dont know which one she is. Fig.4 Gentlemans Procession passing the same point on Crosshill. 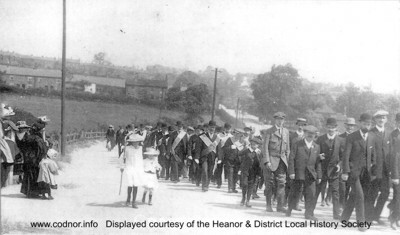 Processions like this happened in towns and villages all over the country in the days leading up to the Coronation of King George V on 24th June 1911. This photograph now shows the Tram Standards in place, dating it after 1913. 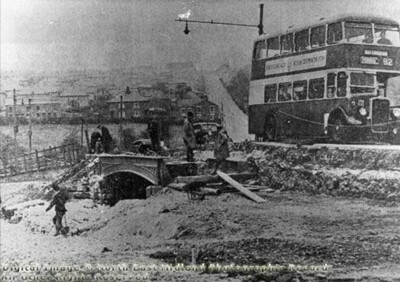 This picture shows the demolition of the railway bridge, which was no longer needed, the line having closed in 1926. Stone from the demolished bridge was used to build the wall in front of Codnor recreation ground. Old Crosshill farm (not to be confused with Crosshill farm, which is midway between Crosshill and Loscoe Brook) was owned by Charles Vickers Hunter and leased to Henry Clarke and his wife Ann Matilda Clarke (nee Turner). The Old farm was located just down the short lane, identified on William Shipton’s 1792 map as Hunter’s Road, which is on the opposite side of the main road to Codnor Denby Lane. Henry and his wife had four daughters; Mary Elizabeth, Fanny Maria, Annie Matilda and Sarah Hannah. The farm consisted of about 28 acres but this was reduced to 16 acres when some of the land was sold off to make way for the new Butterley to Heanor railway line and Crosshill Station. Henry also had a brother, Thomas Clarke who had small farmstead in the hollow at the bottom of Crosshill near the brook. In September 1888, Henry Clarke was attacked by his bull, which left him with lingering injuries causing him constant pain. The suffering that he experienced over the following months eventually led to depression and in June the following year it all became too much for him and he committed suicide by hanging himself in the barn. Fig.8 This photograph taken circa 1885 shows three of Henry and Ann Clarke’s daughters; Left to right: Fanny Maria, Mary Elizabeth and Annie Matilda. The woman standing at the back is Mrs Leake with Frank Leake (cousin) at the front. One of Thomas Clarke’s daughters married Edward Leake and the leake family leased the farm during the 1900s. Like many buildings in Codnor, Old Crosshill Farm suffered from subsidence damage due to the coal mining activity in the area. 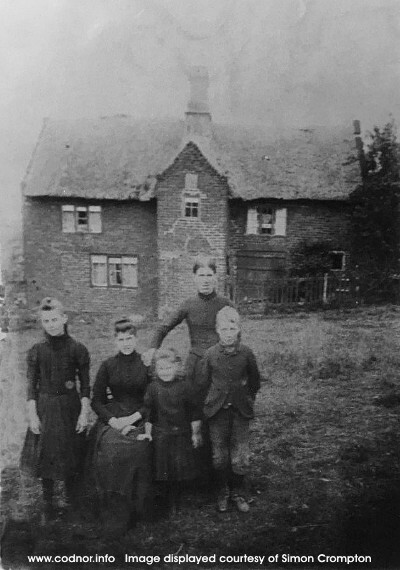 A new double-fronted homestead that we see today was built nearer to the main road in the early 1900s and the old farmhouse demolished soon after. 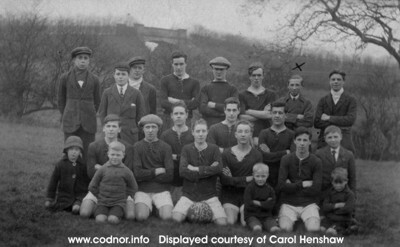 Fig.9 Crosshill Football Club circa 1900-1905. The young man with the X above his head is Thomas Henshaw Jn. 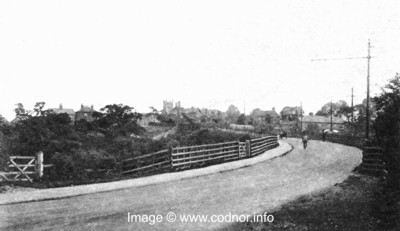 Also note the railway bridge in the background and former bridle road, Hunters Road. 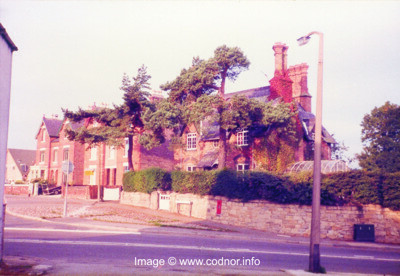 At the corner of Codnor Denby Lane and Heanor road stands the school house. 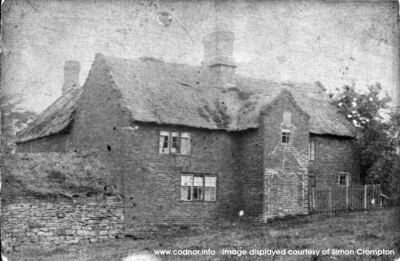 For many years this was the residence of Mr William Floyd Pine (1828-1894), Headmaster of Codnor & Loscoe boys school, which was situated on the opposite corner of Codnor Denby Lane, near the church. More information about the school can be found on the Crosshill school webpage. Fig.11 St. James church has been a Crosshill landmark since it was built in 1844, More information about the church can be found on the St James webpage. On the opposite side of the main road used to be the village Pinfold where any stolen or stray livestock was detained until ownership could be established. A payment was required on return of any animals to cover feeding and watering. A little further on is Bostocks Yard, this gets its name from the Bostock family who owned livestock and also had a slaughter house and Butchers shop on Codnor Market place. 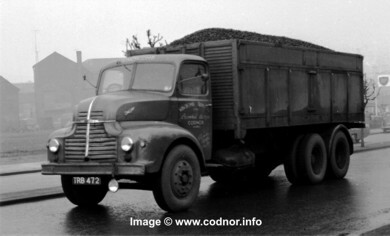 Fig.12 Winchcombe Transport's Leyland Comet 6 wheel bulk tipper, at unknown location. Bert Winchcombe established a business as a haulage contractor on a site at the corner of Middleton Avenue with a number of Ex WD vehicles he purchased just after WW2. Next to Winchcombe's is Crosshill garage, which I believe was established by Thomas Henshaw senior. On the Loscoe side of Middleton Avenue was Mr Holland's shop now the site of a bungalow. Middleton Avenue, was named after the Reverend Henry Middleton who was the first vicar of St James church. He originally owned the land, which was sold in 1904. 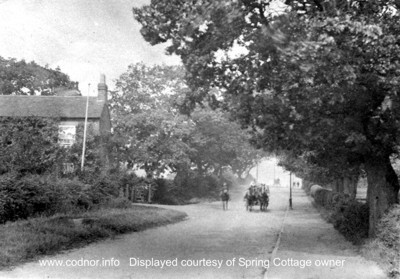 Situated a little way past Middleton Avenue, this picture shows a view of Spring Cottage and Heanor Road heading back towards Codnor. There used to be a bench outside the cottage with several tin cups for travelers to get a refreshing drink from the spring. The cottage was also home to the Hicking family for many years. Heanor and District Local History Society publication.